♥ Sweet Glamour Makeup ♥: MAC COSMETICS MARILYN MONROE COLLECTION HAUL AND REVIEW! MAC COSMETICS MARILYN MONROE COLLECTION HAUL AND REVIEW! The M.A.C Marilyn Monroe collection is amazing! 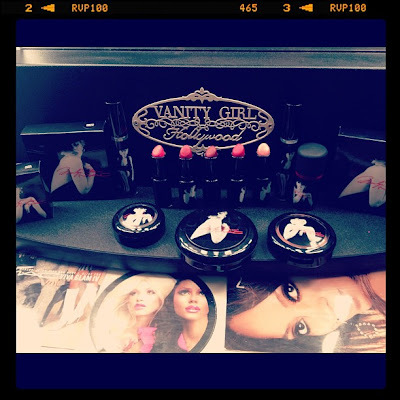 It consists of some Iconic lipsticks,eyeshadows,blushes,glosses,beauty powder,and nail polishes. This collection truly captured her beauty,and showcases the reason she was an Iconic celebrity. My favorite product from the entire collection was the beauty powder,in Forever Marilyn. It was soft whitish-pink colour,to compliment and brighten any complexion. The packaging features never before seen photographs of Marilyn,prior to this collection release. I think it would be hard for any company to try to top this collaboration! What was your favorite product from the collection?